With our expertise in domain, we are engaged in manufacturing and supplying a wide array of Flip Flop Mats. Our products are available as per the industry standards and known effective usage in various places. 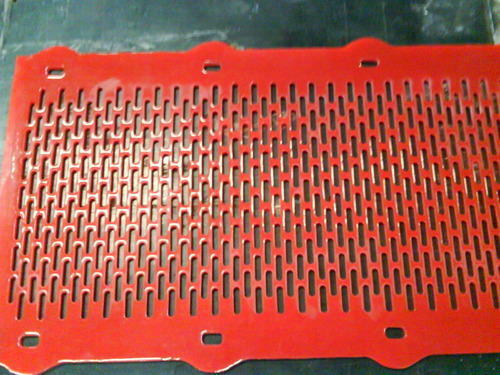 We are foremost manufacturer and supplier of premium quality Flip Flow Screen Mats. The entire range of screen mat is designed from the quality assured material and ultra-modern tools. This screen mat is made obtainable in various designs and attractive colors to suit variegated demands of clientele. Offered screen mat is checked on numerous parameters of quality in order to supply a faultless range. Looking for “Flip Flow Screen Mats”?